Find the best Virginia travel nursing jobs with GIFTED. Work where you want, when you want. GIFTED makes it happen. Why Become a Travel Nurse in Virginia? Travel nursing jobs allow nurses to experience new places, meet interesting people and feel the freedom of the open road. We offer travel nursing job across the U.S. that open the door to adventure while giving you excellent salaries, benefits, and housing – and the opportunity to advance your nursing career. 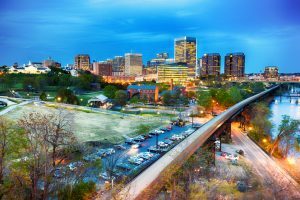 At GIFTED, we are currently staffing TRAVEL nursing opportunities across Virginia in cities such as Lynchburg, Newport News, and Woodstock. GIFTED Healthcare puts you first by offering many choices and opportunities in Travel nurse staffing. We supply what you want when you want it. We’re committed to keeping talented nurses at the bedside. The flexibility our company offers helps us fulfill this goal. Nurse owned and operated, our company matches you with healthcare facilities in ways that benefit you. We place travel nurses in Virginia at hospitals, physician’s offices, clinics, and long-term acute care (LTAC) facilities to meet the challenges of the census and to fill long- and short-term vacancies and contracts. You will love your next travel nurse assignment in Virginia. With landmarks such as the Blue Ridge Mountains and Shenandoah Valley, it is no wonder that Virginia is a popular travel nurse destination. You’re going to find a lot of love in Virginia! “Virginia is for lovers” after all – lovers of mountains, rivers, beaches, sports, outdoor activities, and history. Virginia is one of the most beautiful places in the world. Outdoor recreation options range from beaches to mountains. The state features a moderate climate with four seasons. Travel nurses doing a 13-week assignment in Virginia can enjoy backpacking trips along the famed Appalachian Trail, walks along the iconic three-mile oceanfront Virginia Beach boardwalk, or rides on the thrilling roller coasters at Busch Gardens in Williamsburg. Ready to experience Travel nursing with GIFTED in Virginia?